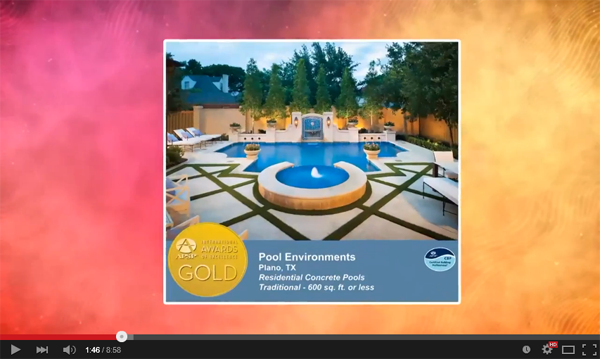 See how we transform an empty yard into an Award-Winning Outdoor Entertainment Space! 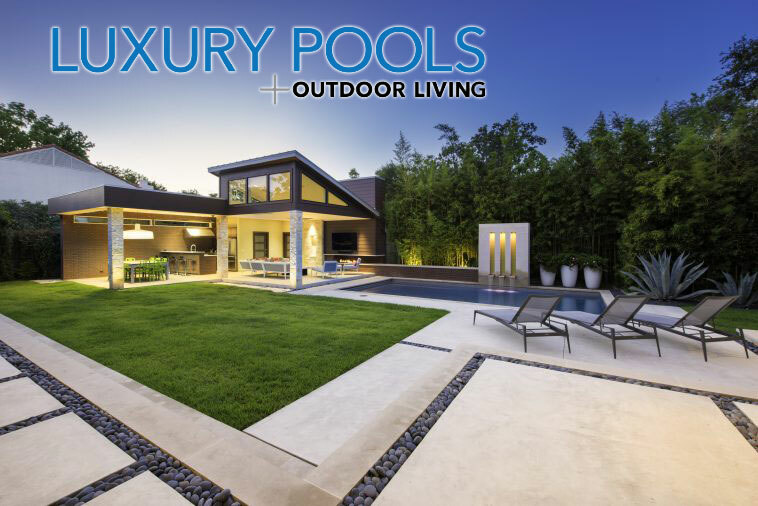 Be sure to check out and follow our Instagram page! 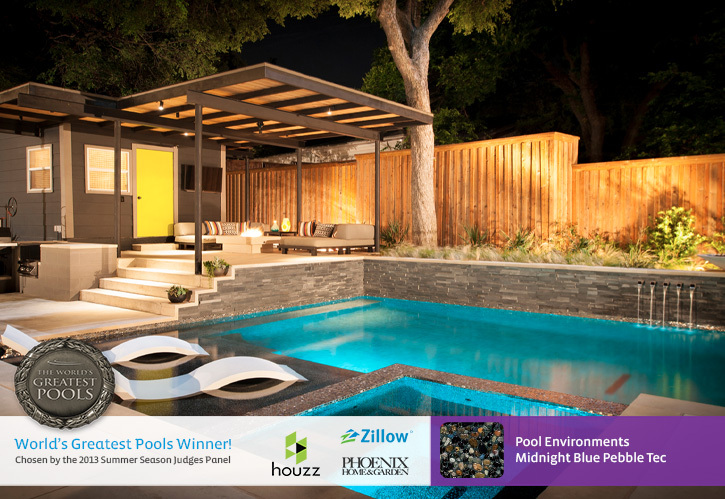 Thanks Houzz for the shout out. 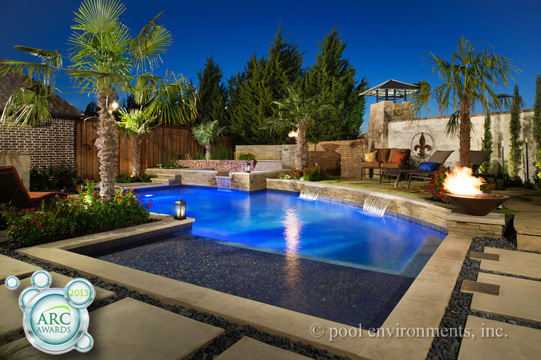 Check out these ideas for side yards. 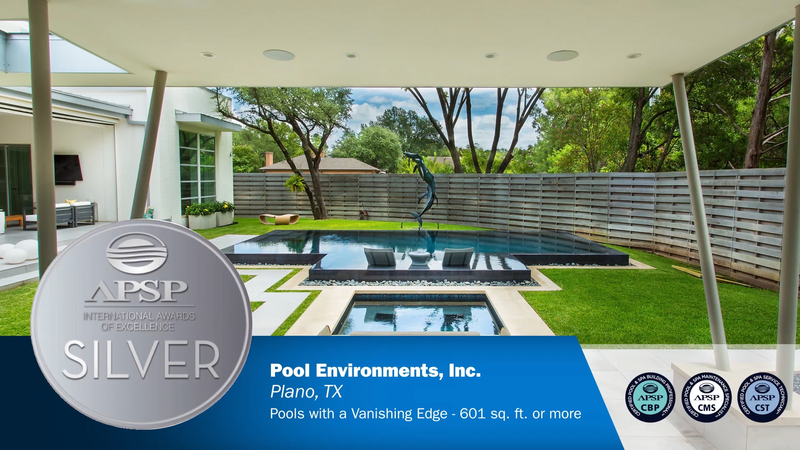 Pool Environments voted "Best of Houzz 2018 - Design and Service"
Pool Environments has earned recognition as a 2018 Guildmaster! 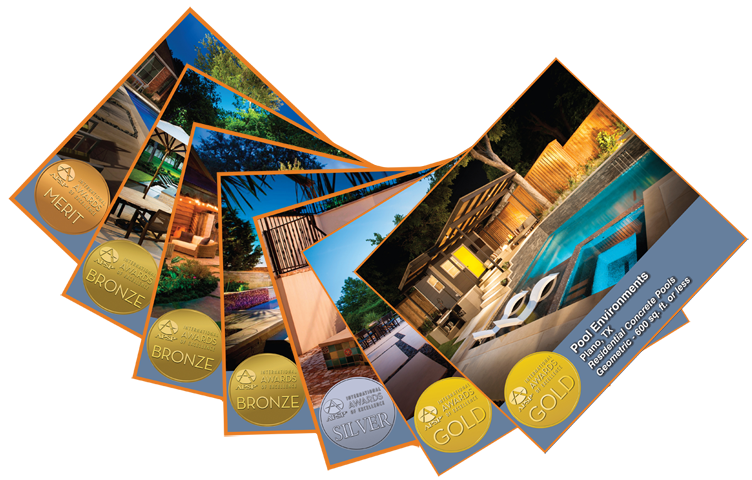 The annual Guildmaster Awards celebrate service excellence in the building, remodeling, contracting, and real estate professions. 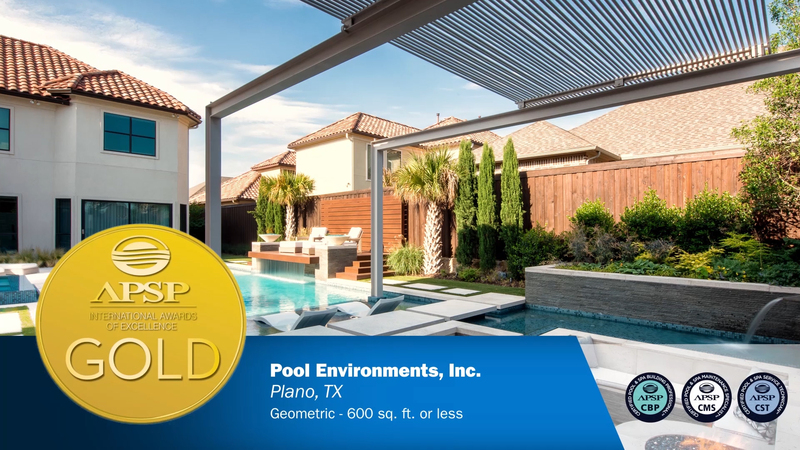 Each year, GuildQuality gives special recognition to the companies that demonstrate an ability to deliver a consistently superior customer experience. 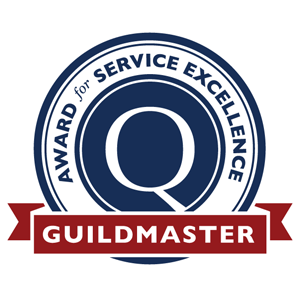 "In order to determine which companies would receive the 2018 Guildmaster Award, our GuildQuality team spent the last several months reviewing each of our members' customer feedback. Pool Environments 2017 APSP International Awards of Excellence. 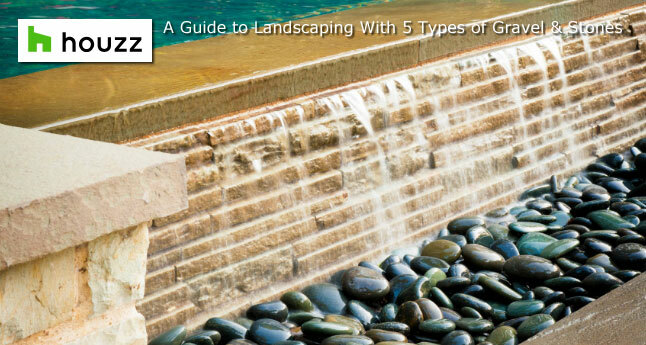 Every year, the pool and spa industry recognizes the best installations. 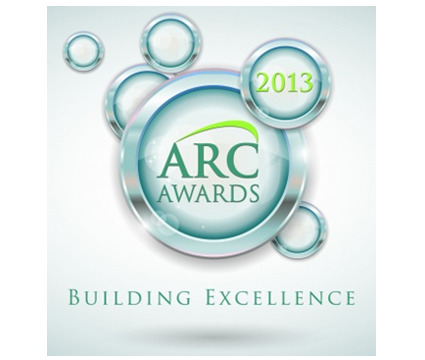 Firms across the United States and around the world submit hundreds of entries to the competition each year. The APSP International Awards of Excellence program then recognizes the most beautiful and creative installations of pools, spas, hot tubs and water features. 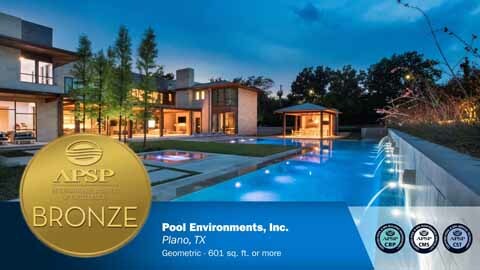 We're honored that many of ours were chosen. 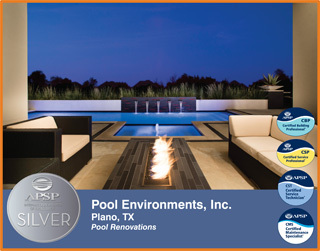 Stay tuned, to access the APSP fan favorites voting in October! 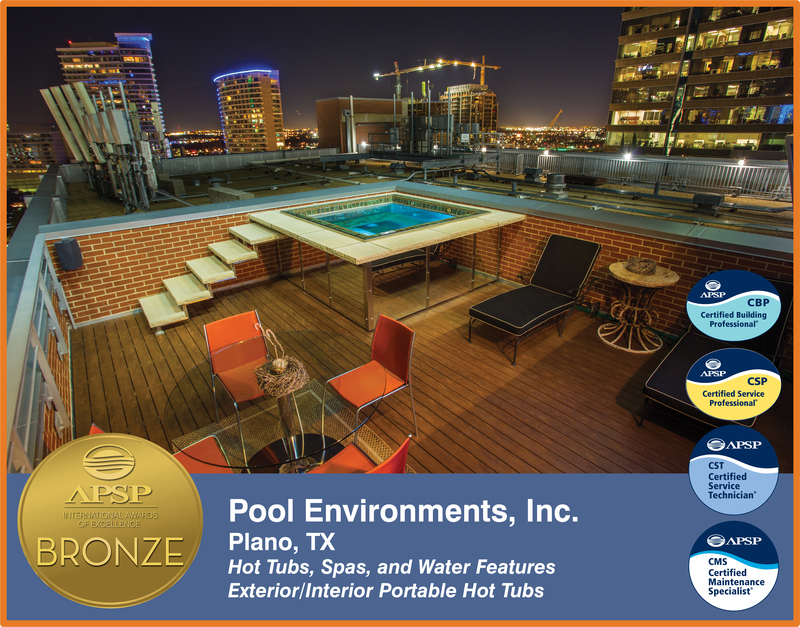 The APSP Fan Favorite Award recognizes the most popular winning entry in the International Awards of Excellence Program. 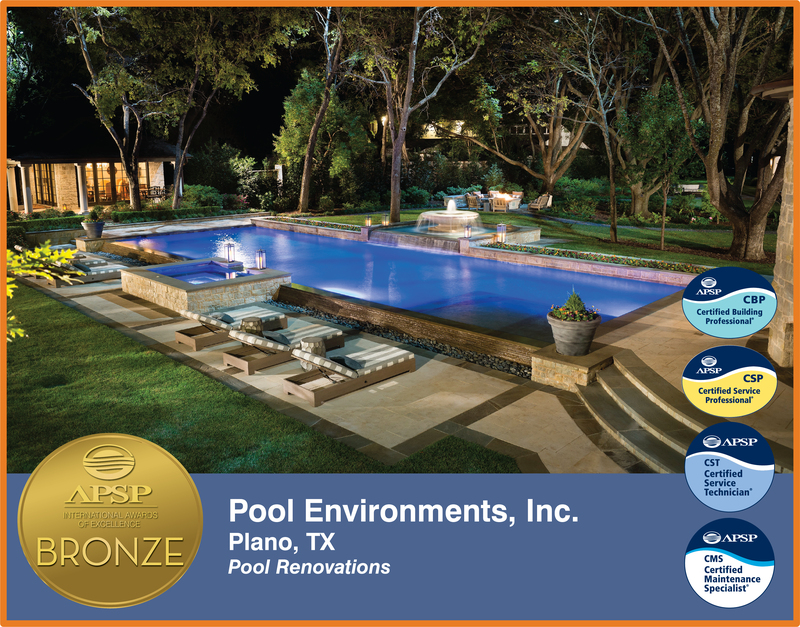 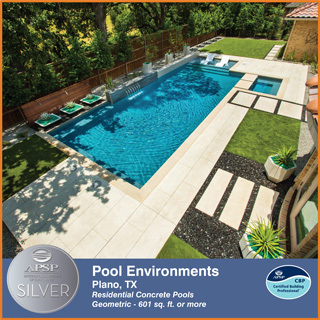 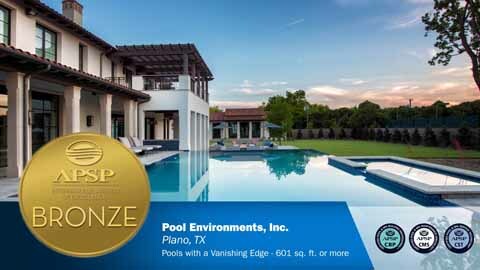 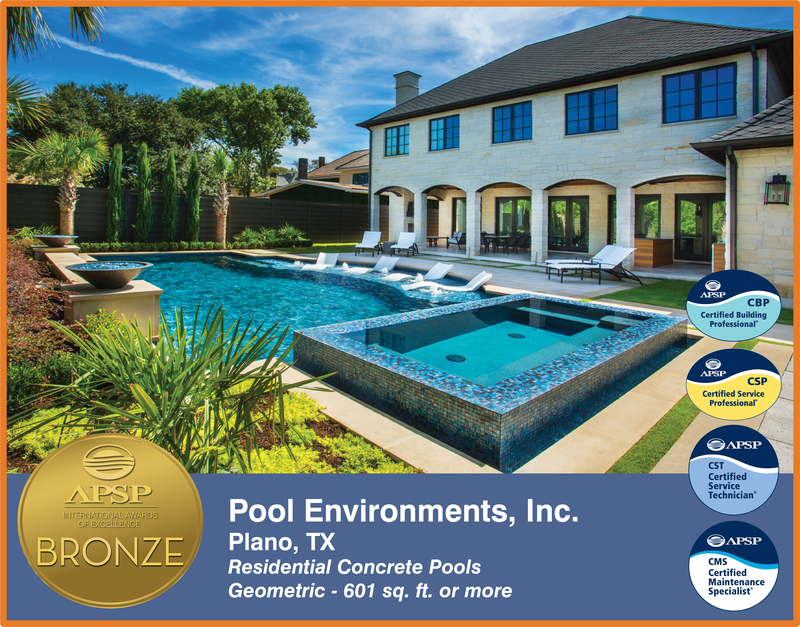 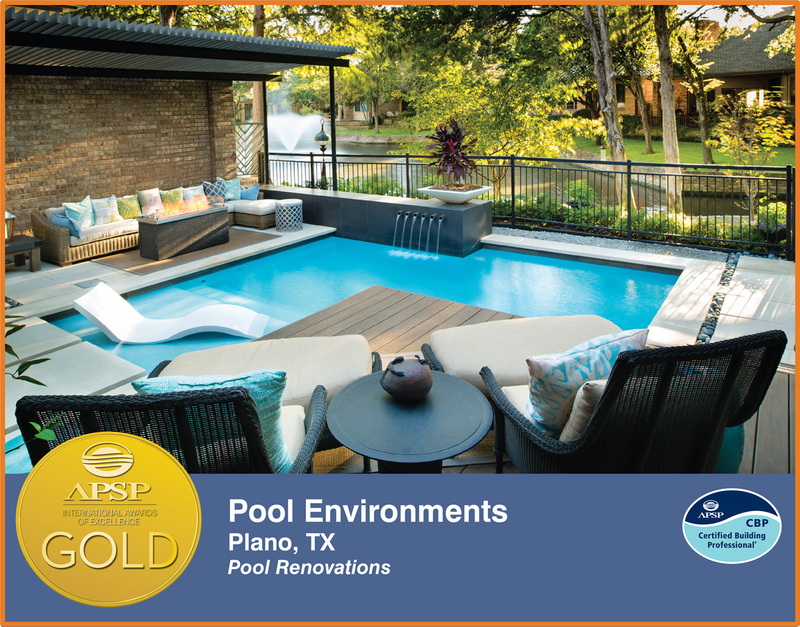 Pool Environments voted "Best of Houzz 2017 - Design"
2016 - Pool Environments continues with additional APSP International Awards of Excellence, taking home one gold and three silver! 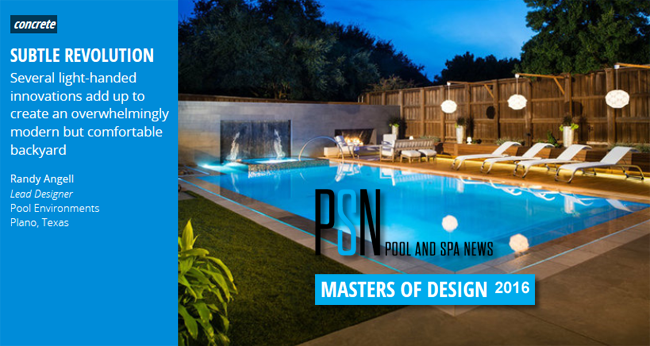 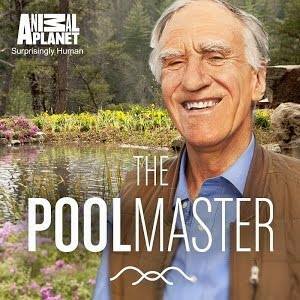 2016 - Pool Environments Again Receives Masters of Design Award! 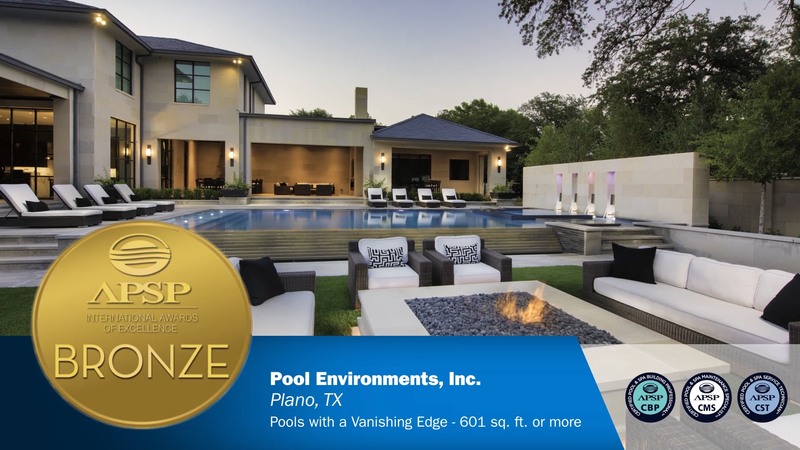 2016 - Pool Environments again receives Masters of Design Award for Concrete format! 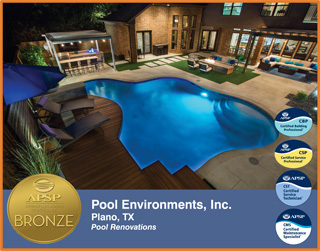 2016 - Pool Environments leads the industry on the Web! 2016 - Pool Environments leads the industry on the Web! 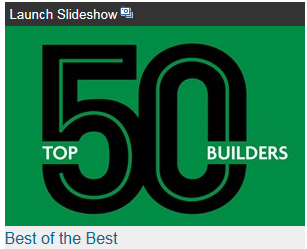 Winnning 1st place Website and placing 2nd in Web Presence of the Top 50 Builders! 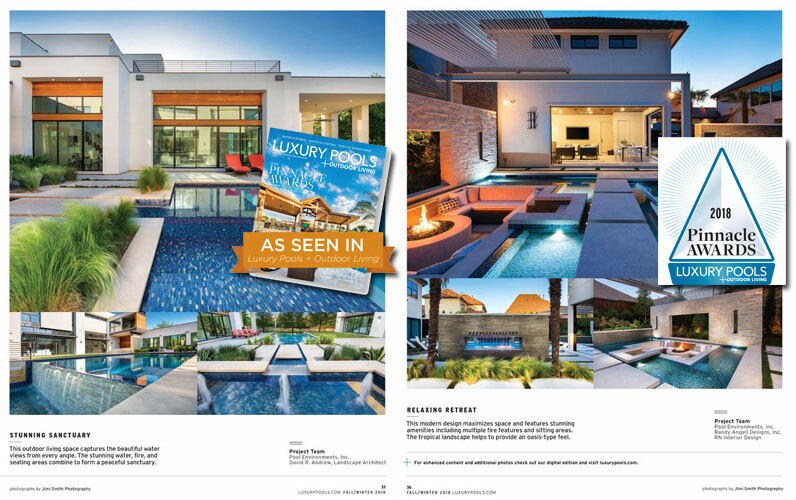 Our projects featured on pages 11-14! 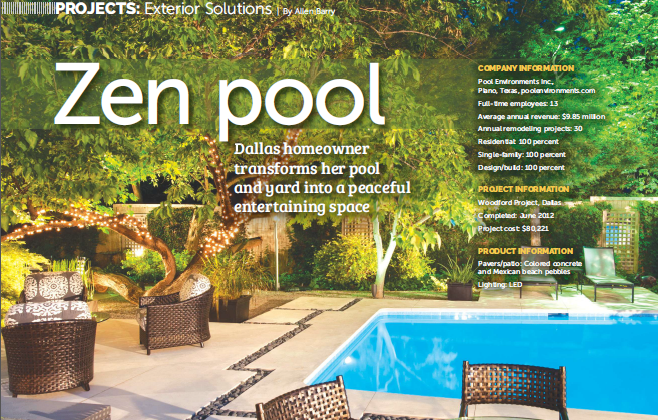 Great editorial on one of our newly completed projects. 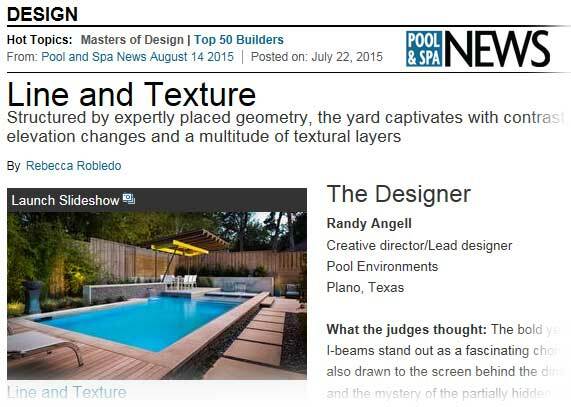 Great interview with Water TV and our very own Randy Angell! 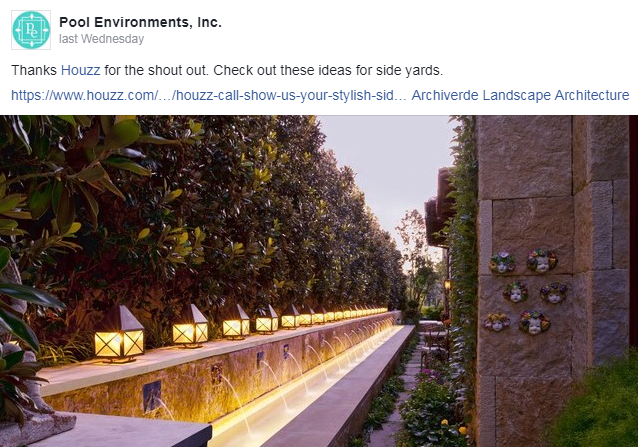 Always good to hear back from our clients! 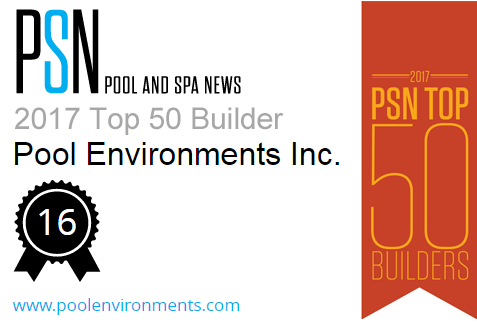 Pool Environments improves it's placement this year as we again win a spot on the Pool & Spa News 2015 Top 50 Builders Rankings. 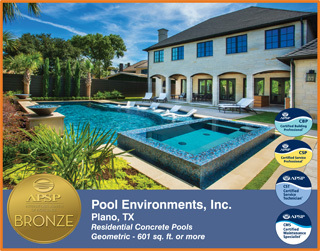 This is the 14th year in which Pool & Spa News has utilized a special scoring formula to reveal the most well-rounded pool construction companies in the industry. Click here for details on Pool Environments and Click the logo above for a slideshow to view key statistics about the group and lists showing which honorees scored the highest in the various judging categories. Pool Environments showed the winning hand at the Las Vegas 2013 APSP International Awards of Excellence! 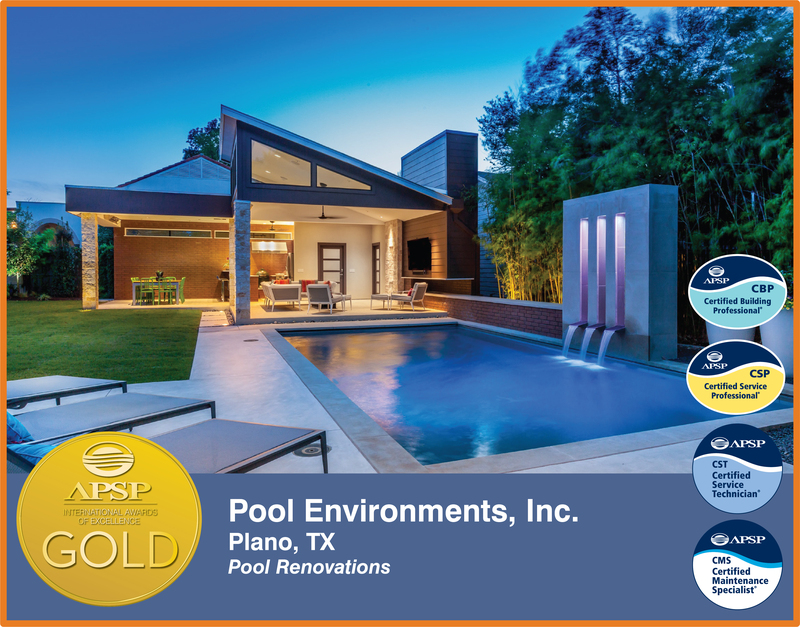 A pair of Golds with a Silver kicker, Trips Bronze and a Merit to round out the hand. 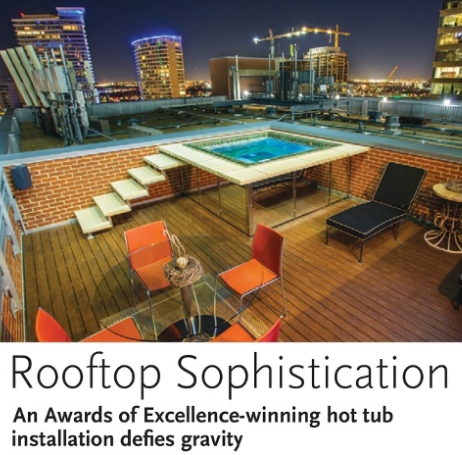 The Association of Pool & Spa Professionals' 2013 International Awards of Excellence ceremony was held Nov. 12 at Mandalay Bay Resort and Casino's LIGHT Nightclub in Las Vegas. 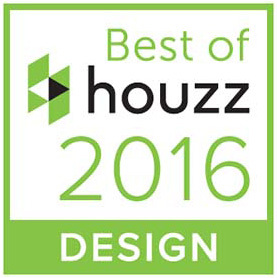 This year, 88 awards were presented in 40 categories, five of which spotlighted international installations. 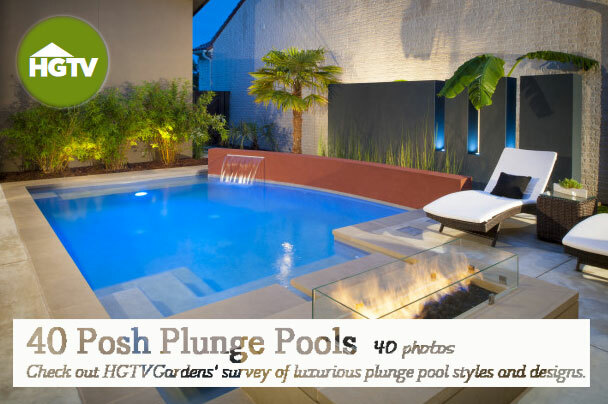 There were a total of 114 entries from six countries. 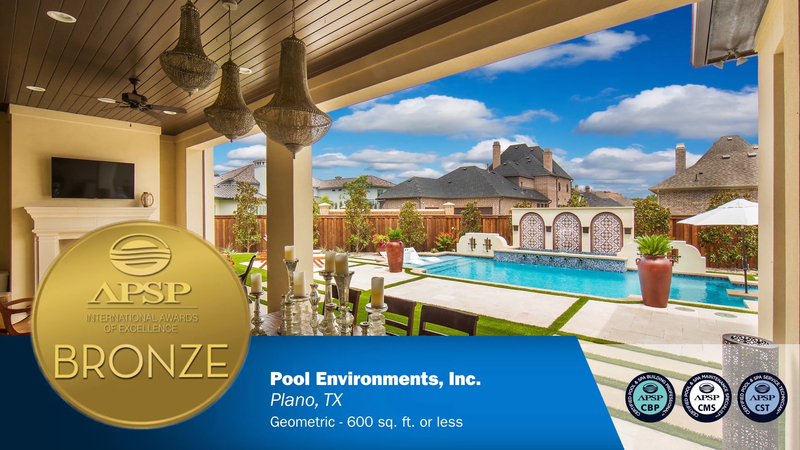 "The APSP International Awards of Excellence competition is a tradition honoring the world's premier pools, spas, hot tubs and water features," APSP President and CEO Rich Gottwald said. 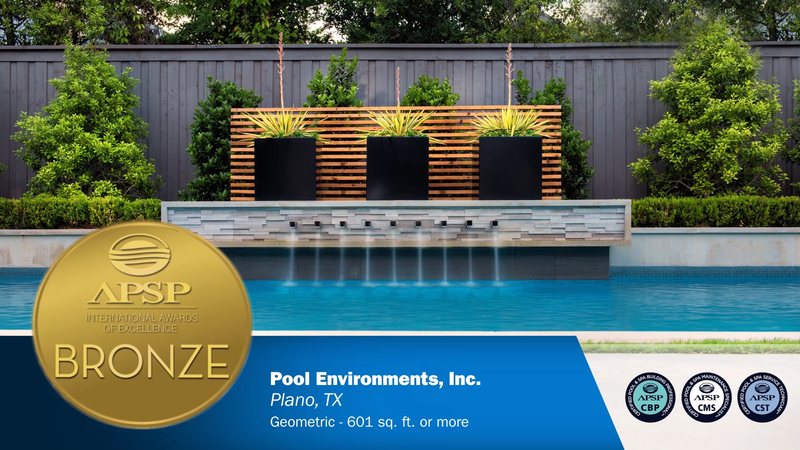 "The winning installations demonstrate the beauty, desirability and fun of water in people's lives, and we're proud our members are reflecting success through this recognition program." 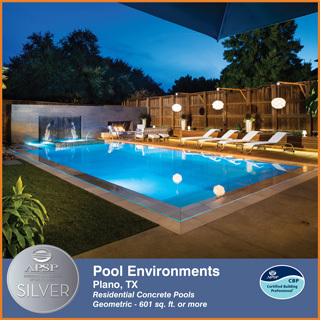 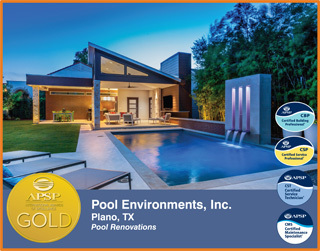 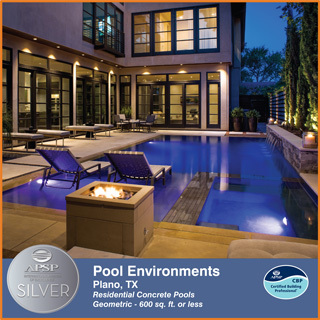 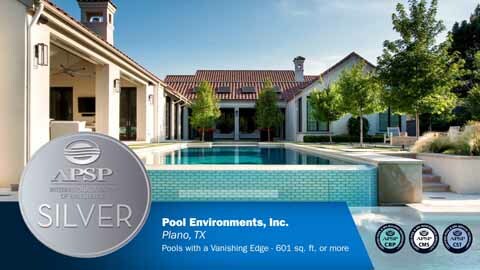 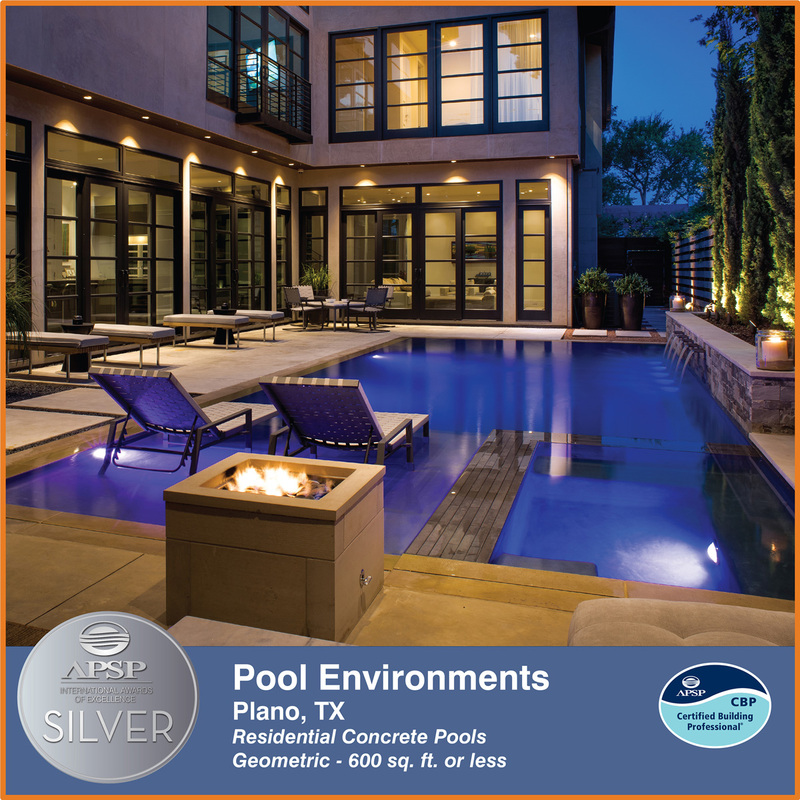 Dallas Builders Association announces 2013 ARC Award Winner, Pool Environments for, "Best Swimming Pool"
Pool Environments awarded 'Master of Design' Award!